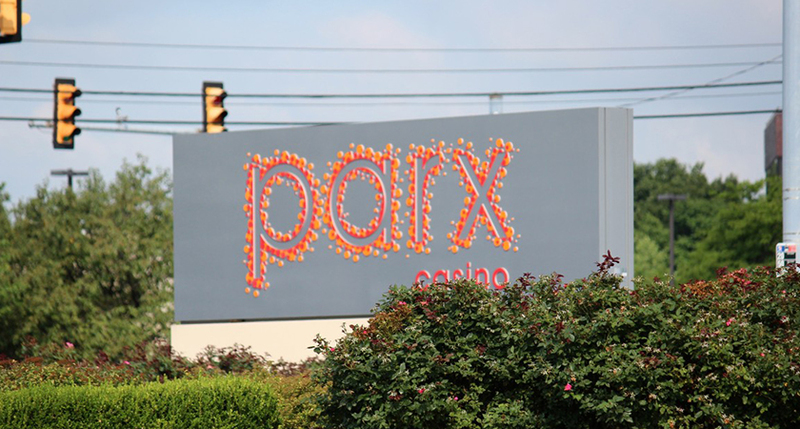 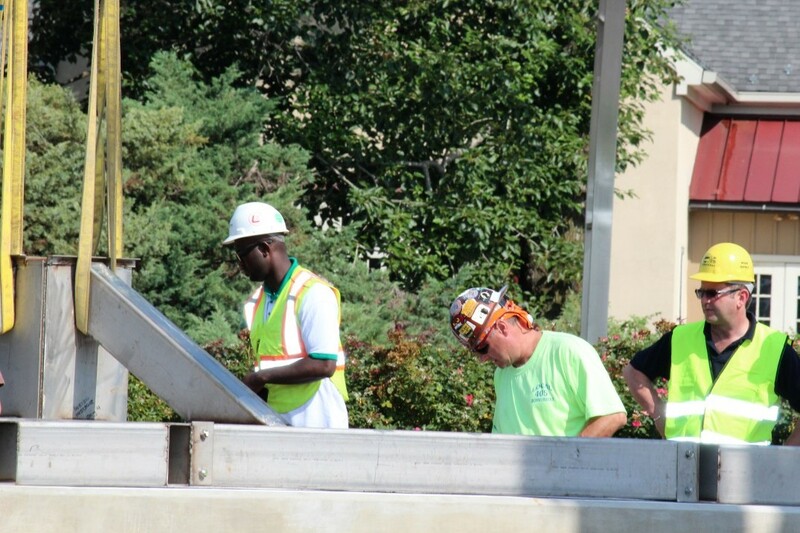 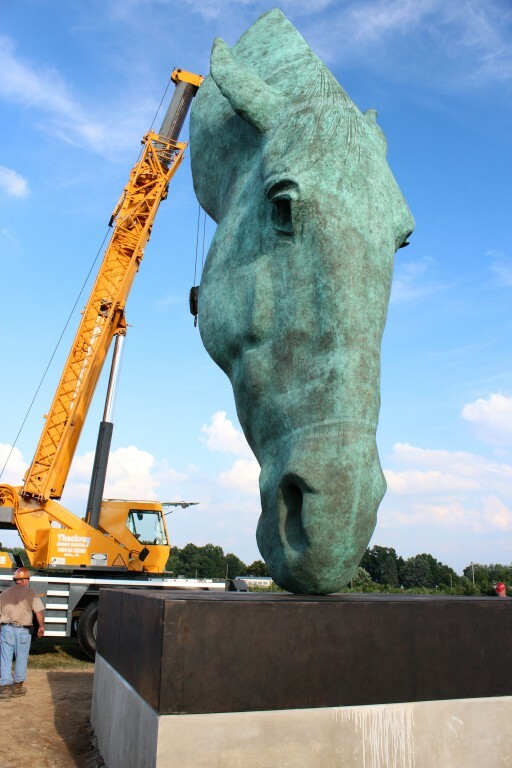 Safely performing any crane lift means no horsing around… except at Parx Racing and Casino! 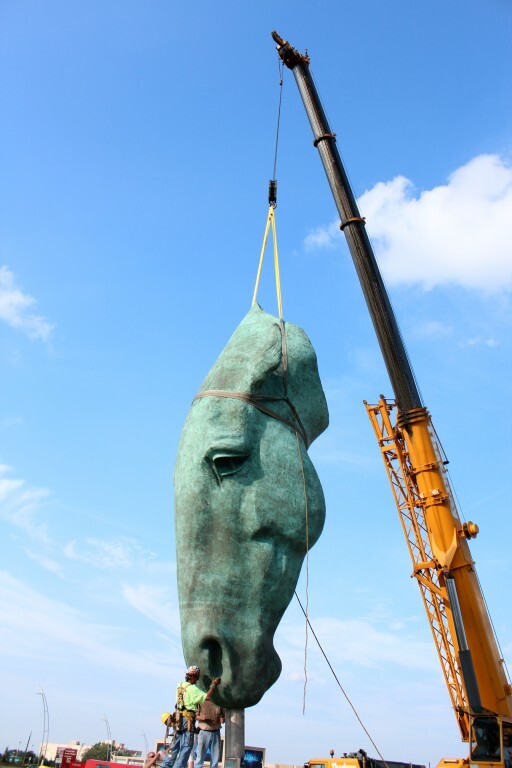 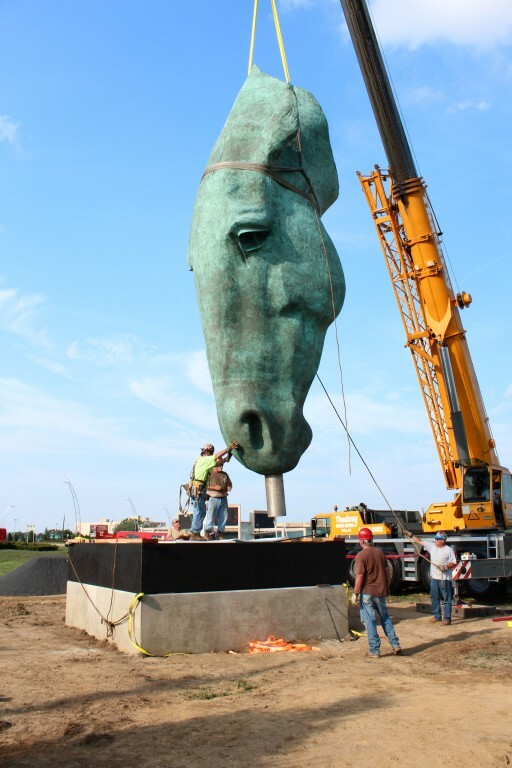 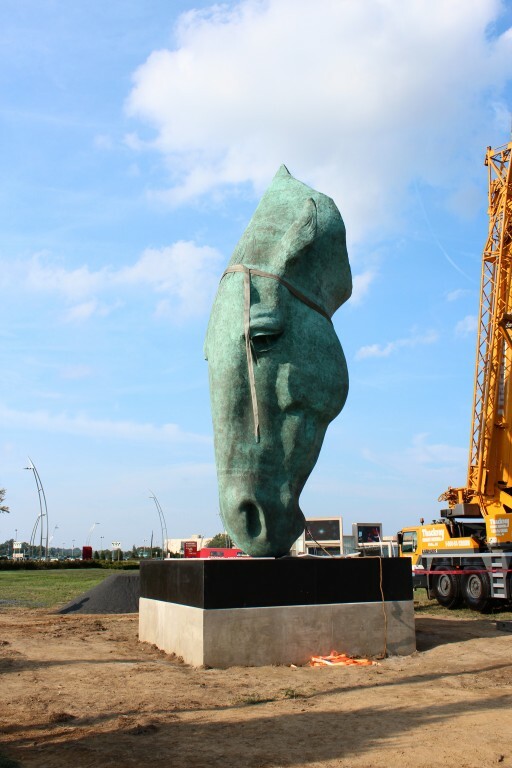 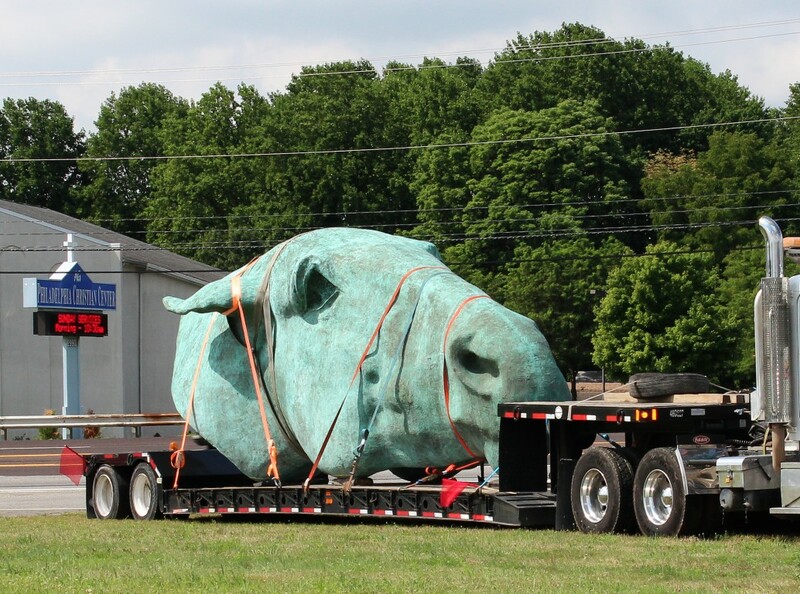 To complete this custom crane lift project, the huge “Horse at Water” statue was first transported via ship from overseas and then the over-sized load is trucked to the Parx Racing and Casino job site. 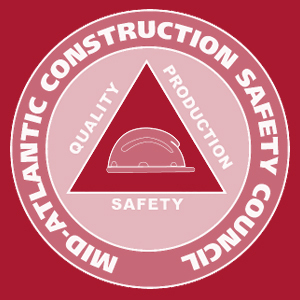 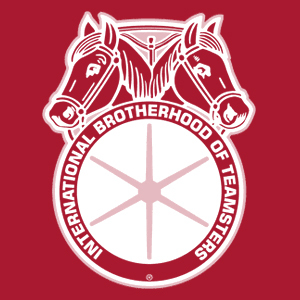 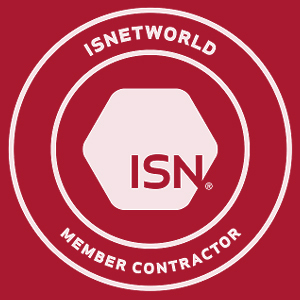 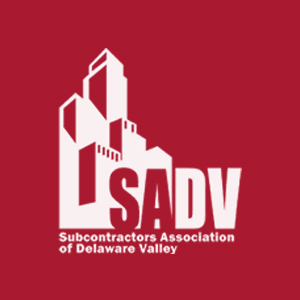 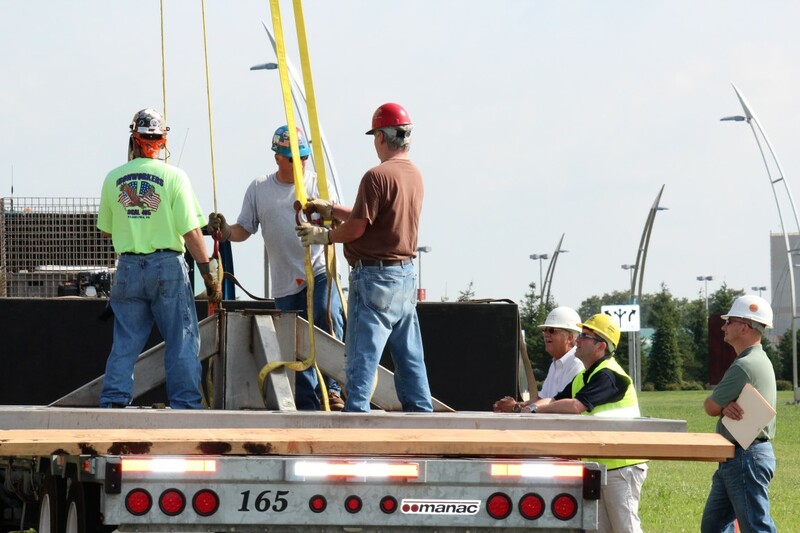 Thackray’s Logistics team coordinated the details from start to finish. 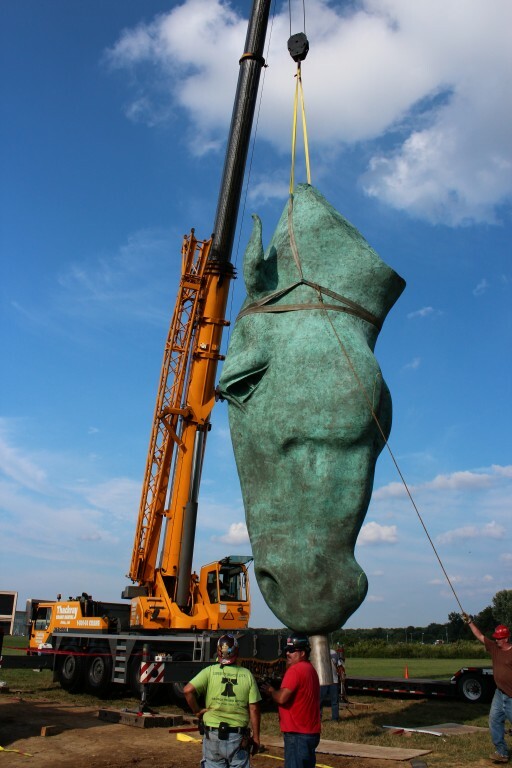 On the day of arrival, the “Horse At Water” statue was securely harnessed up by Thackray’s rigging partners. 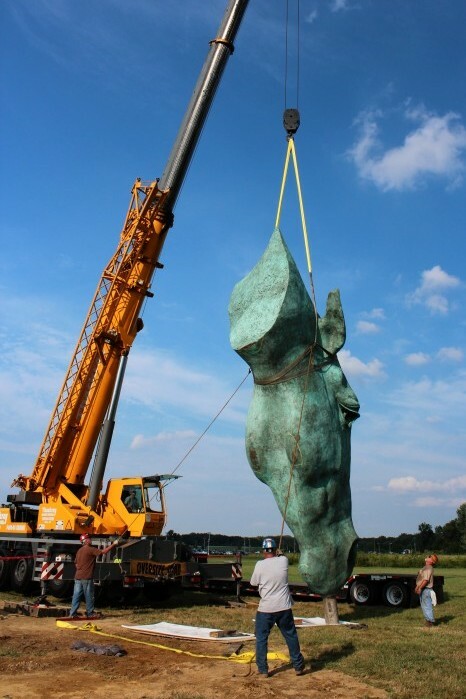 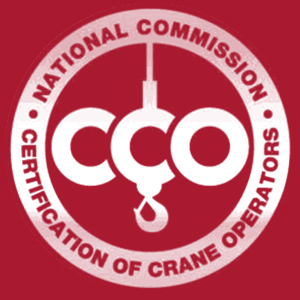 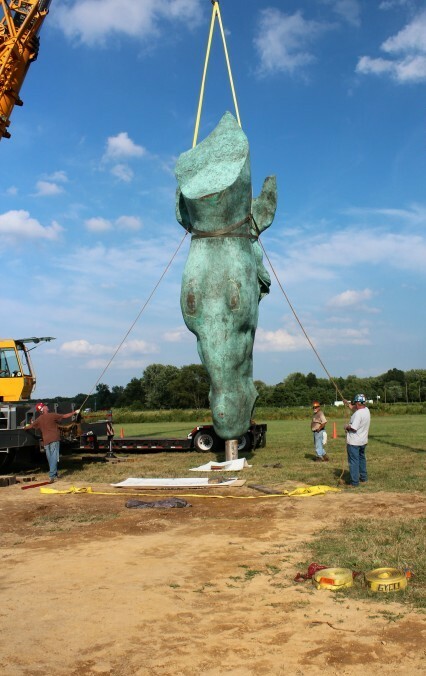 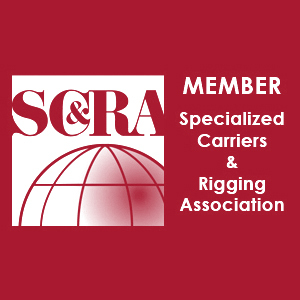 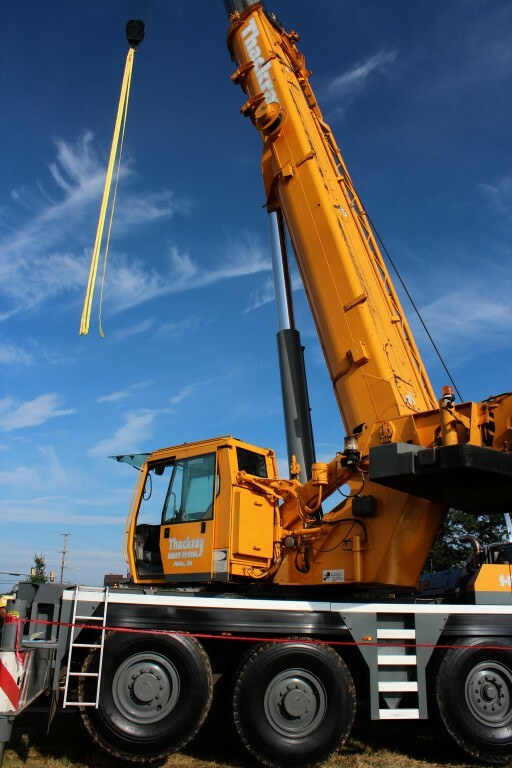 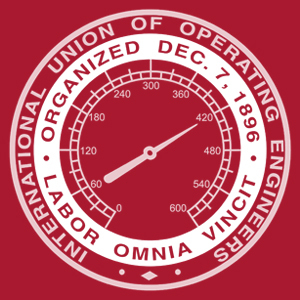 Utilizing a Thackray Crane Rental mobile hydraulic crane, the statue was carefully lifted from a specially equipped air-ride suspension system tractor trailer. 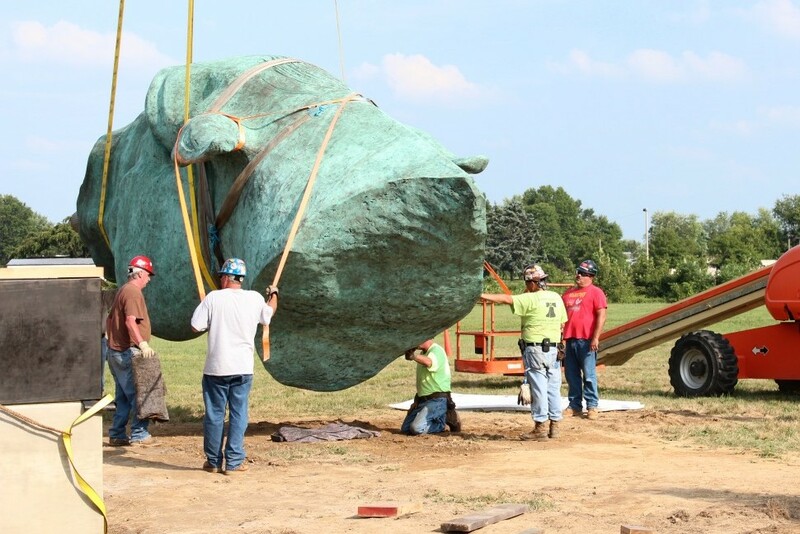 The crew used eagle-like eyesight to lower the heavy statue into a precise position with less than a quarter-inch (that’s 1/4 inch!) 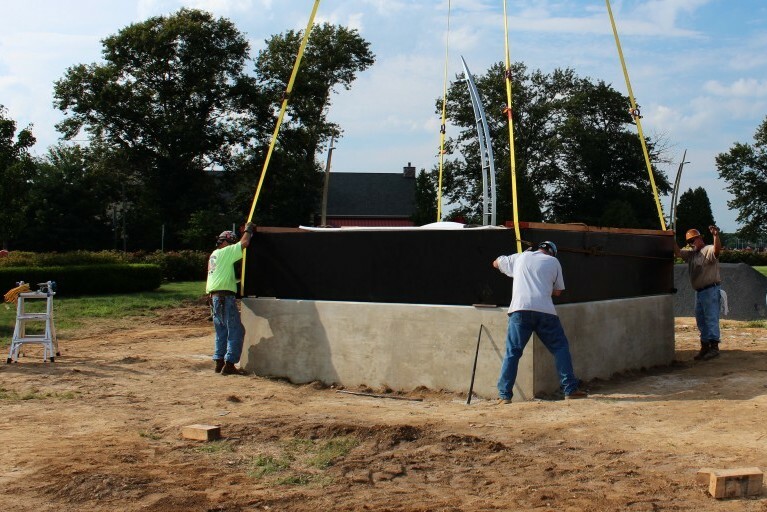 of positioning room, getting everything right on the first try.